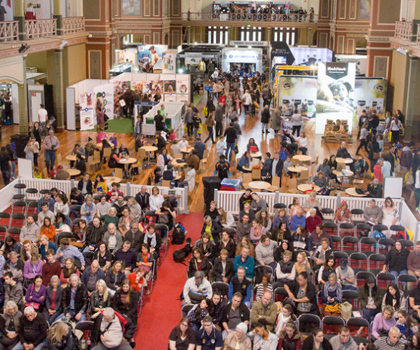 The Melbourne Cat Lovers Show is being held at the magnificent World heritage-listed Royal Exhibition Building. It is the perfect home for the Show and located at 9 Nicholson Street Carlton, just north of Melbourne’s CBD and Carlton Gardens. 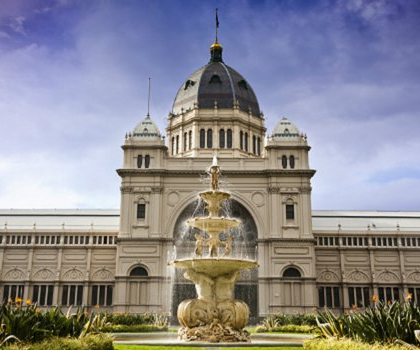 The venue is located just north of Melbourne’s CBD, next to the Melbourne Museum in Carlton Gardens and is easily accessible by car, tram, bus and train. Visitors can only enter the Show via the Nicholson Street entry of the Royal Exhibition Building. Located under Melbourne Museum, undercover parking is open 7 days a week from 6.00am to midnight daily. During the weekend of the show you can only enter the car park under Melbourne Museum via the Rathdowne Street entry as Nicholson Street will be closed due to tram works. We recommend you arrive early if you are to secure a car park in the Museum car park under the venue. The following car parking rates are effective as of 2018. These prices will be revised for 2019 in the New Year. The Dog Lovers Show will continue to work with some of the closest car parks to negotiate discounted parking for visitors. We have partnered with Secure Parking to offer our customers a discounted $7 weekend parking at 59 Lonsdale Street Car Park. Friday Early Bird $13 (entry before 9.15am & exit between 3pm & 6pm) with max day rate of $18. Please see details below and we recommend you also visit the Public Transport Victoria for the most up-to-date information on transport advice on the day. You can also plan your trip using the Journey Planner. Designated disabled parking is available on level P2 adjacent to the lifts within the undercover Melbourne Museum car park. There is wheelchair access to the venue.